ARIES – Wife may cheer you up. Involving yourself in large group will be highly entertaining- but your expenses will take an up-trend. Safeguard your interest when dealing with friends- business associates and relatives- as they might not be considerate to your needs. Don’t forget to forgive your beloved today. Do not sign any business/legal document without reading between the lines. Travel will be beneficial but expensive. If you and your spouse had a really good food or drinks today, health might suffer. TAURUS – Your anxiety will disappear as you take command of the situation. You are likely to understand that it is as unsubstantial as a soap bubble which collapses at the first touch of courage. Although your financial position improves but the outflow of money will still create hindrance in executing your projects. Relatives will provide support and lift the burden that bothering your mind. Your mind would be too preoccupied with the thoughts of your lover today! Keep a vigil in the business to save yourself from cheating. Boundless creativity and enthusiasm leads you to another beneficial day. Your spouse might fight with you because you might forget to share something with him/her today. GEMINI – Your tremendous intellectual potential will help you to fight the disability. Only by keeping positive thoughts you can fight this problem. Unexpected rise in your expenses would disturb your peace of mind. Your dominating attitude towards your family members will only start useless arguments and can bring criticism. Your sweetheart is going to miss you badly all day. Plan a surprise and make it the most beautiful day of your life. Change of job would give you the mental satisfaction. Not a very good day for traveling. You will have a stressful relationship with your spouse and there might be serious discord that will last longer than it should. CANCER – Elderly people need to take care of their health. Don’t spend too much on entertainment or cosmetic improvement. Do not make quick judgment about people and their motives-They might be under pressure and need your compassion and understanding. Shirking household duties and squabbling over money may damage your marital You need to put your intelligence and influence to sort matters at work. Someone from your past is likely to contact you and make it a memorable day. You might do something really wrong to your married life today, if you didn’t keep calm. LEO – Check your aspirations to enjoy the life. Take the help of yoga-which teaches you the art of living physically mentally and spiritually healthy to improve your temperament. Use what you already have before rushing out to buy more. Your ability to impress others will bring rewards. You will cherish the spice of exotica in your sweet love life today. Don’t take your seniors for granted. A day for cautious moves- when your mind would be needed more than your heart. Today, your innocent acts of your spouse will make your day fabulous! VIRGO – Your life may seem perfect to your friends and family members- but you will be disturbed over some recent developments. It’s another high-energy day and unexpected gains are foreseen. Friends and relatives will demand more attention but this is the perfect time to close the doors to the world and treat yourself royally. Don’t let your lover make unnecessary demands on you today. You will definitely meet people today- who would help you in your career. Good day to visit a lawyer to take some legal advice. Your spouse might ask you to choose between your family and him/her. It is just for time being; try to handle. LIBRA – For a contented life improve your mental toughness. New sources of income will generate through people you know. Devote your spare time in selfless service. It will give happiness and tremendous joy to you and your family. Romance on the card but sensual feelings may erupt which would spoil your relationship. Your work will be appreciated at work. Today you would be full of good ideas and your choice of activities will bring you gains far beyond your expectations. You might fight with your spouse today out of your own stress and actually of no reason. 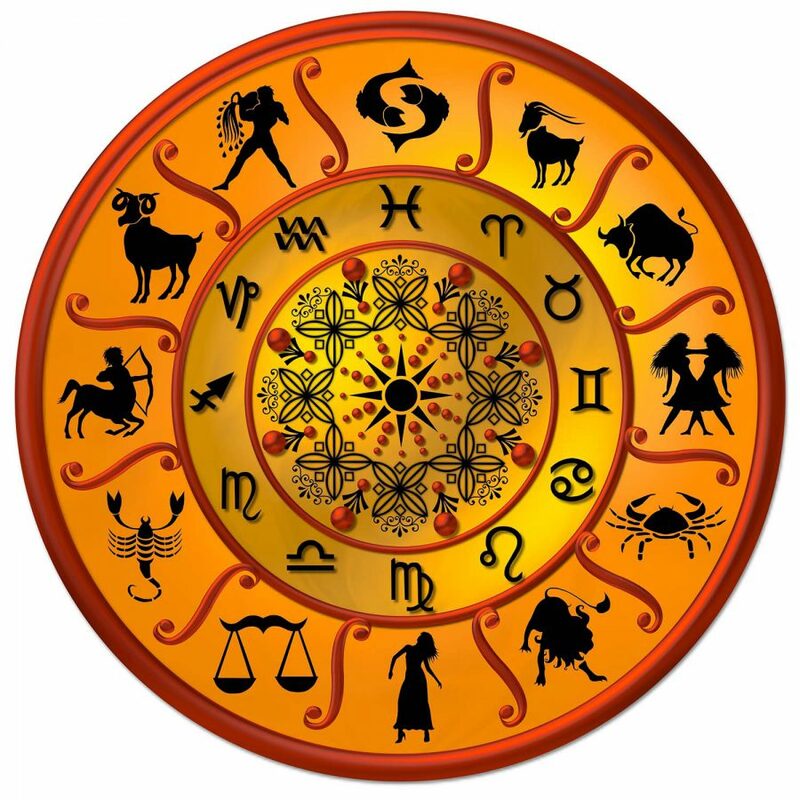 SCORPIO – You are likely to suffer from inferiority complex in the party. Encourage yourself to overcome this by positive thinking without this-you would not be able to keep self-confidence. Do not invest in joint ventures and dubious financial schemes. You will be torn in many different directions if you try to take care of everyone’s demands. Once you are met with the love of your life, nothing else is required. You will realize this truth today. Good day for recreation and entertainment but if you are working then you need to look carefully at your business dealings. Be careful not to make harsh comments incase you are pushed into an argument. It’s going to be the most romantic day of your life with your spouse. SAGGITARIUS – Don’t lose your patience especially at the time of crisis. Watch your tendency to live for the day and to spend too much on entertainment. Control your temper to avoid hurting the feelings of your family members. It You will find comfort in the arms of your beloved. Your boss will not be interested in excuses- Do your work to remain in his good books. Correspondence needs to be handled with care. Health of your spouse may keep you worried. CAPRICON – You are likely to suffer from inferiority complex in the party. Encourage yourself to overcome this by positive thinking without this-you would not be able to keep self-confidence. Do not invest in joint ventures and dubious financial schemes. You will be torn in many different directions if you try to take care of everyone’s demands. Once you are met with the love of your life, nothing else is required. You will realize this truth today. Good day for recreation and entertainment but if you are working then you need to look carefully at your business dealings. Be careful not to make harsh comments incase you are pushed into an argument. It’s going to be the most romantic day of your life with your spouse. AQUARIUS – Fear may mar your happiness. You need to understand that it is the product of our own thoughts and imagination. It kills spontaneity-blot out joy of living and handicap our efficiency-so better nip it in the bud before it makes you a coward. Finances will definitely get a boost- but at the same time expenditures too will be on the rise. Those seeking emotional reassurances may find their elders coming to their aid. Not a very good day from romance as you are unable to find real love. Promotions and monetary benefits for dedicated professionals. Do not reveal information that is personal and confidential. Your married life is no fun these days; talk to your partner and plan something really cool. PISCES – You should do things that will help you in improving your health and looks. Do not invest in joint ventures and dubious financial schemes. Some people will tend to promise more than they can deliver-Forget about such people who just talk and give no results. Your day could be little upset because of interruptions of family members of your spouse. You might get really angry at work today. Favourable planets will bring you plenty of reasons to feel pleased today. Your spouse might act too self-centered today.